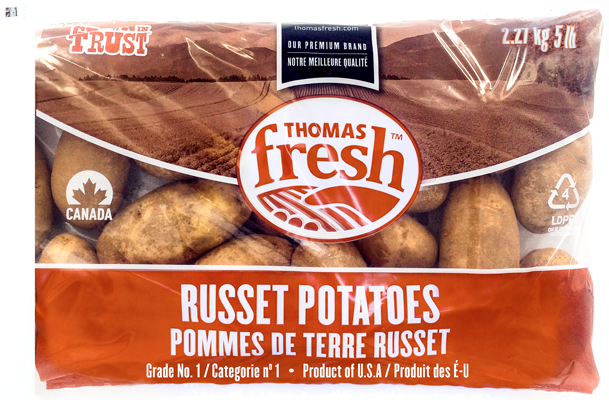 Thomas Fresh sources russets from well-respected Canadian and US growers. 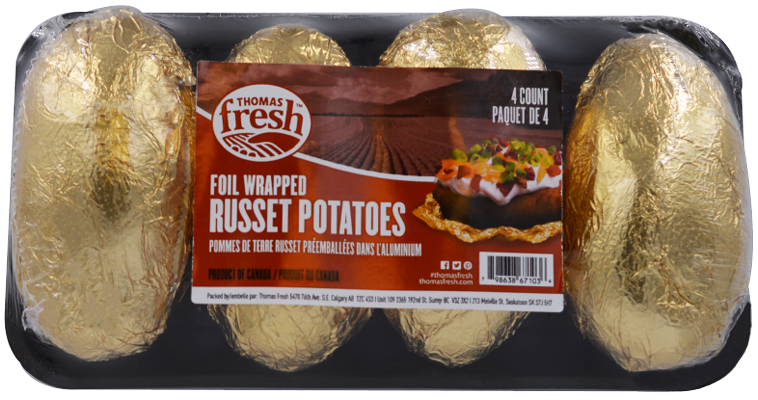 Light to deep brown colour, white flesh on the inside. 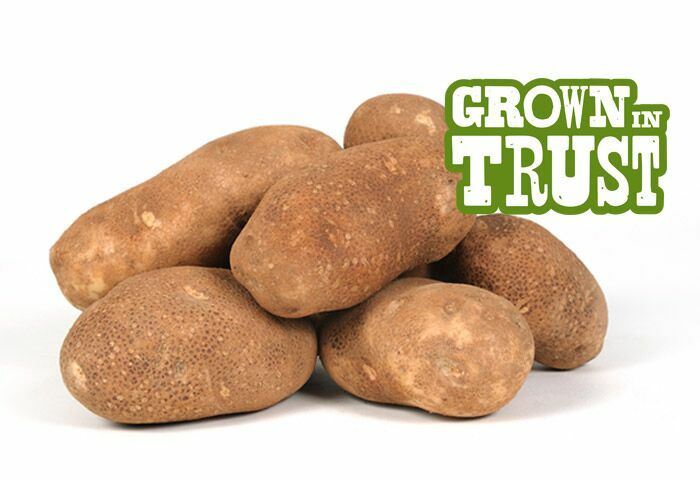 Fluffy, grainy texture with hearty skin. 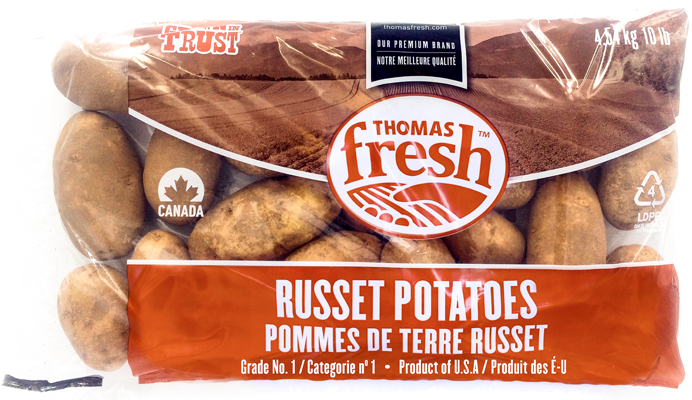 Best for baking, mashing and frying. 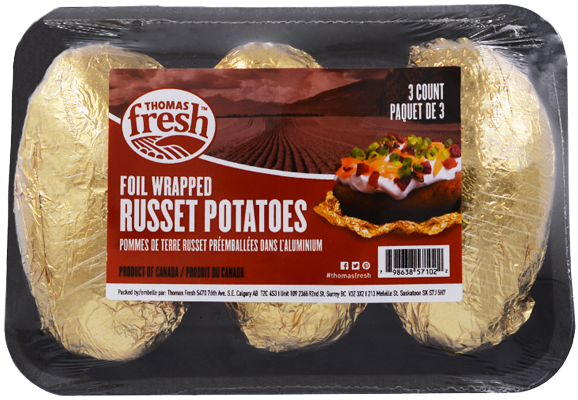 Russets are an ideal base for toppings. 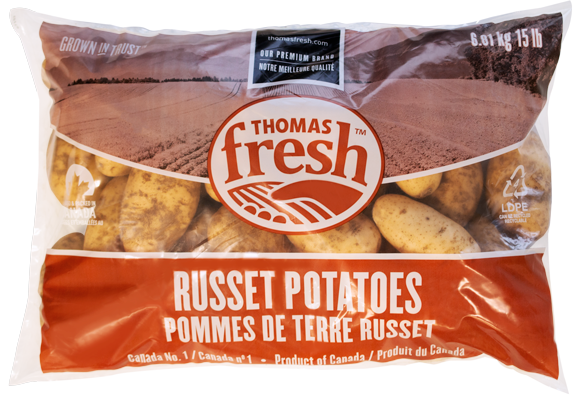 There are over 150 different potato varieties in Canada alone!